Chile’s hospitality sector is investing heavily in the South American country amidst increasing tourist arrivals, said officials this week at Turismo Chile, the country’s tourism promotion agency. Hoteliers will invest $800 million over the next two years to build 40 three-, four- and five-star hotels in Chile, including 3,000 new rooms in the capital city of Santiago, according to Turismo Chile officials. 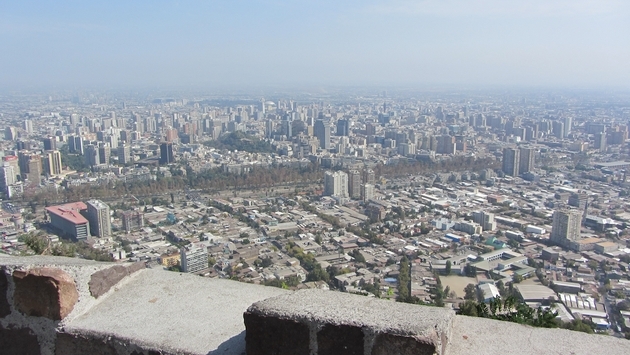 Santiago hotels are “virtually at capacity” and the new project will expand the city’s hotel base by 30 percent, according to Turismo Chile officials. About 50 percent of the hotel investment funds projected to be spent during the next two years will go to properties in Santiago. Twenty-five new hotels will be built in regions outside of Santiago, including remote regions like Patagonia, representing $460 million in investment spending. Recent openings include a DoubleTree by Hilton hotel and a Hyatt Place property in the Santiago’s Vitacura neighborhood; a Renaissance by Marriott hotel on Santiago’s President Kennedy Avenue and a Courtyard by Marriott next to the city’s Parque Arauco mall. The new properties also include a Ramada Encore by Wyndham hotel in Rancagua, 55 miles south of Santiago. Santiago has also welcomed new boutique hotels including the Hotel Boutique Castillo Rojo in the trendy Bellavista neighborhood. Two other boutique properties, Cumbres and The Singular, will debut in the Lastarria neighborhood between late 2014 and early 2015. Chile hosted 3,576,204 total visitors in 2013, including 228,055 from North America, a slight but steady increase over the 3,554,279 visitors to the country in 2012. Both overall and North American visitors are trending higher in 2014 versus 2013 according to data from Sernatur, Chile national tourism office.